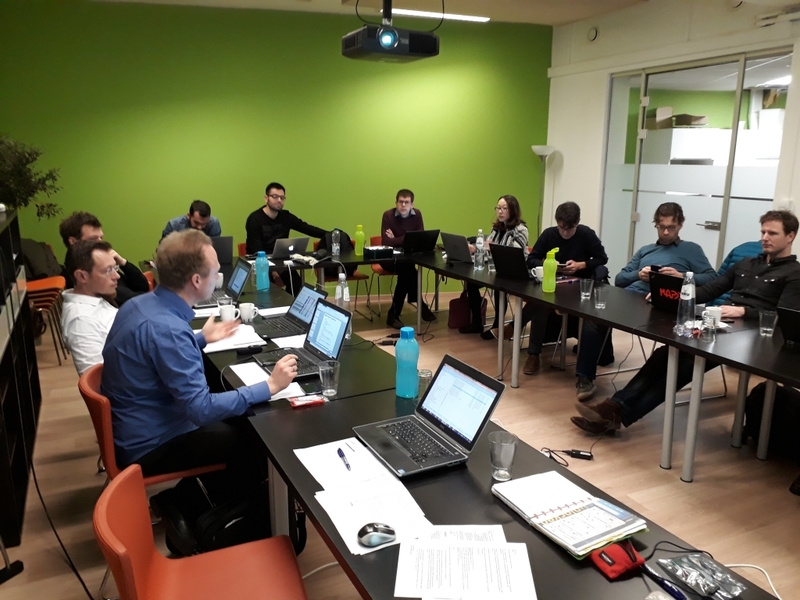 On Tuesday 5 – Wednesday 6 February, we held a Consortium Meeting at TML in Leuven, Belgium. 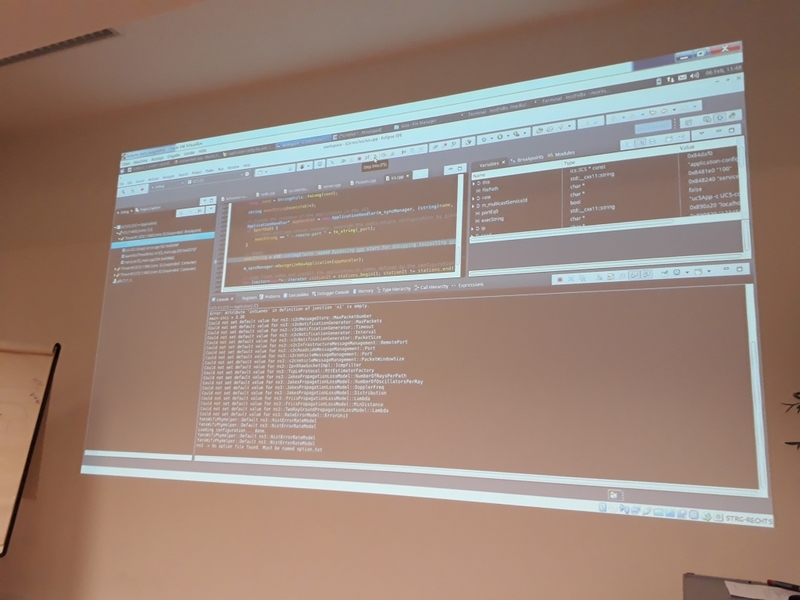 We discussed about traffic management schemes, simulating enhanced traffic management measures with V2X communications using the iTETRIS+SUMO+ns-3 integrated simulation platform, setting up the real-world vehicle trials, and much more! Great news! After months of work, we have released Deliverable D4.2, titled “Preliminary simulation and assessment of enhanced traffic management measures“. 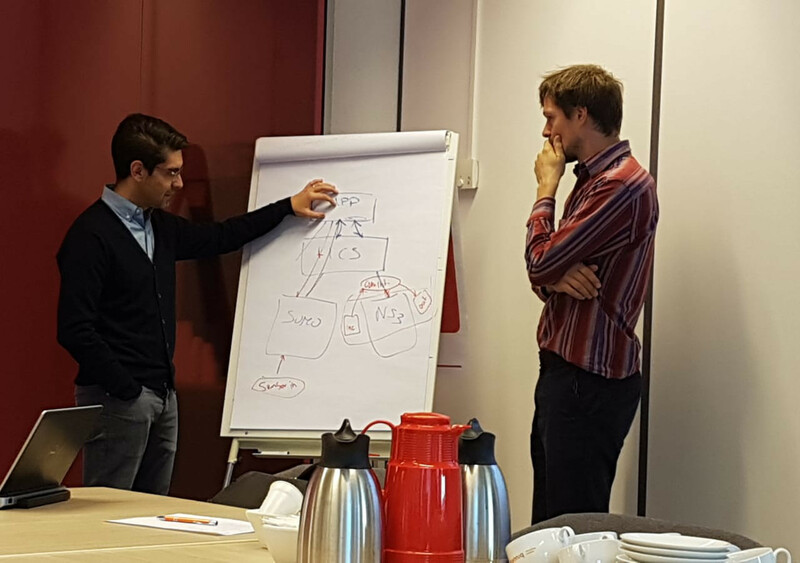 In it, we elaborate on the five previously selected use cases with respect to traffic management of automated driving at Transition Areas. 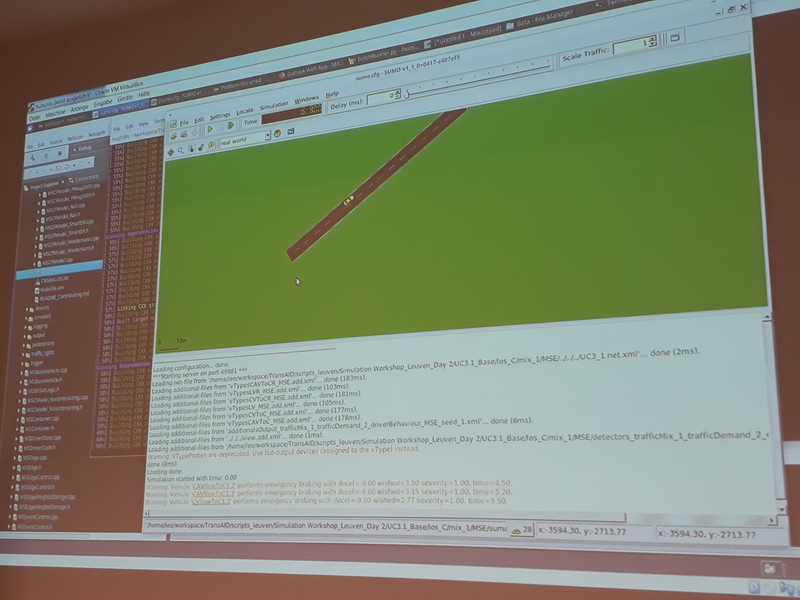 The traffic management procedures developed in Task 4.1 were implemented within the SUMO simulation environment. 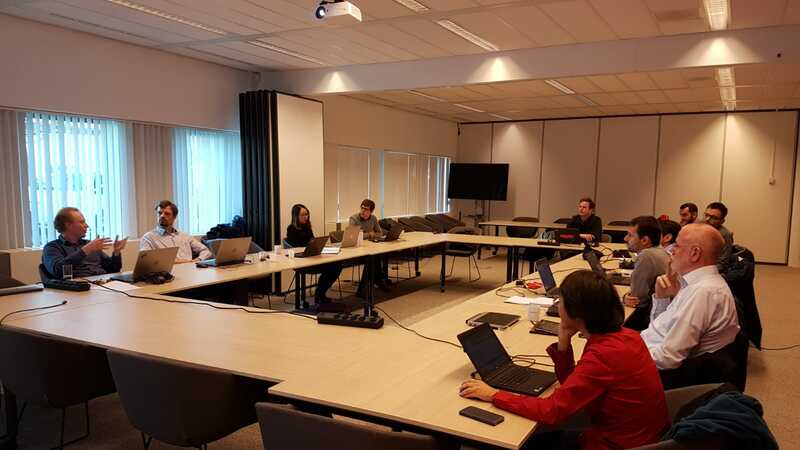 The results of simulations were assessed by the safety, efficiency, and environmental indicators implemented in WP3. Based on these assessments, the traffic management services were analysed with respect to their performances at Transition Areas. You can read all about it in our Deliverables section. 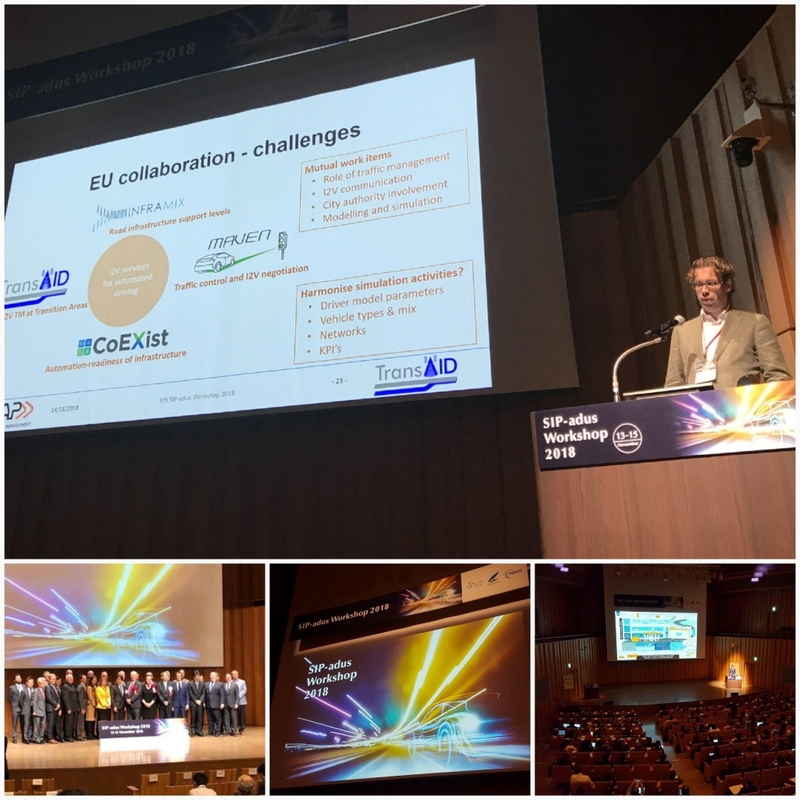 Last year when TransAID was presented at the EC-breakout session during the ITS World Congress, we were contacted by the American Traffic Safety Services Association to write an article for one of their magazines, i.e. The Signal. The resulting article is titled “Mixing it up: The future of CAVs and the mixed vehicle fleet“. You can read it in our Publications section. The original magazine can be found here. 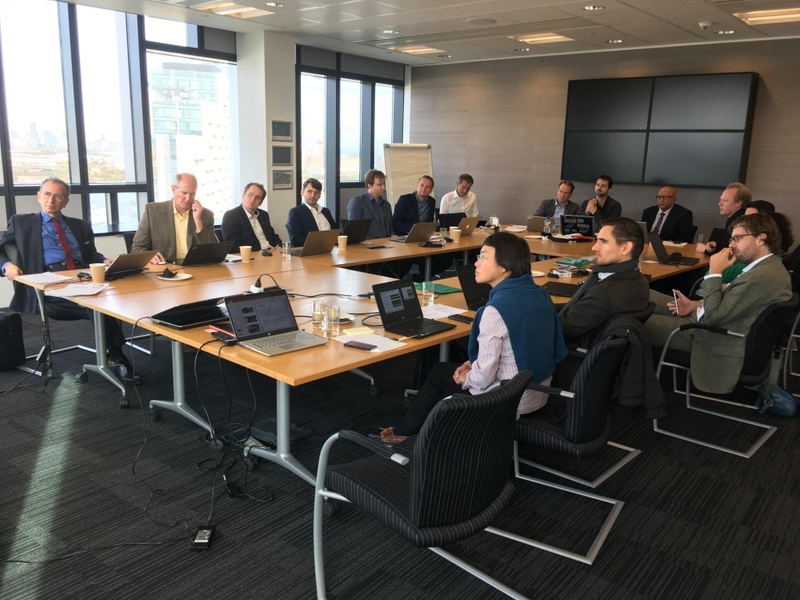 In collaboration with POLIS, and the Horizon 2020 projects MAVEN and CoEXist, TransAID attended the stakeholder consultation workshop on Wednesday 24 October, in Greenwich (London), UK. Discussions during the day centred around automated vehicles and urban traffic management, and breakout sessions on strategic planning for CAVs, the role of the traffic manager in the evolving transport system, and the needs of cities and regions for ITS technologies and strategies. 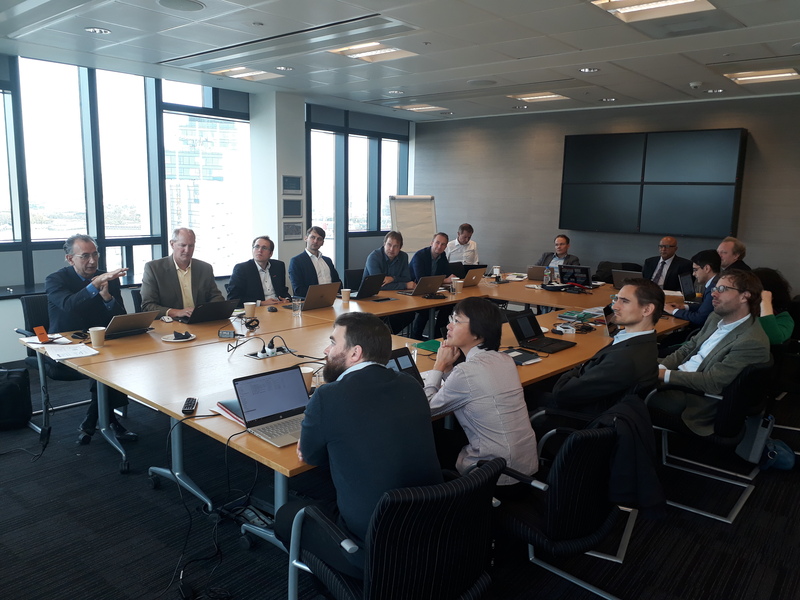 On Tuesday 23 October, TransAID participated in the H2020 MAVEN Expert Meeting in Greenwich (London), UK. Topics that we conversed about are validation and impact assessment, and traffic management of CAVs both on motorways and in an urban context. 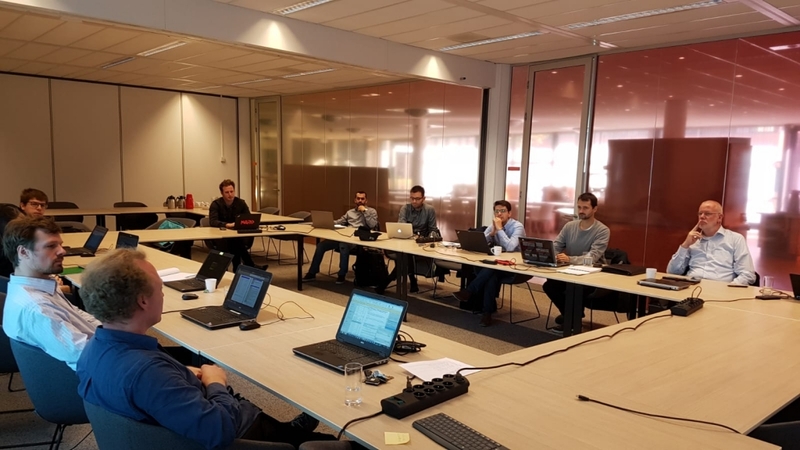 On Tuesday 9 – Wednesday 10 October, we held a Consortium Meeting at Dynniq in Amersfoort, The Netherlands. 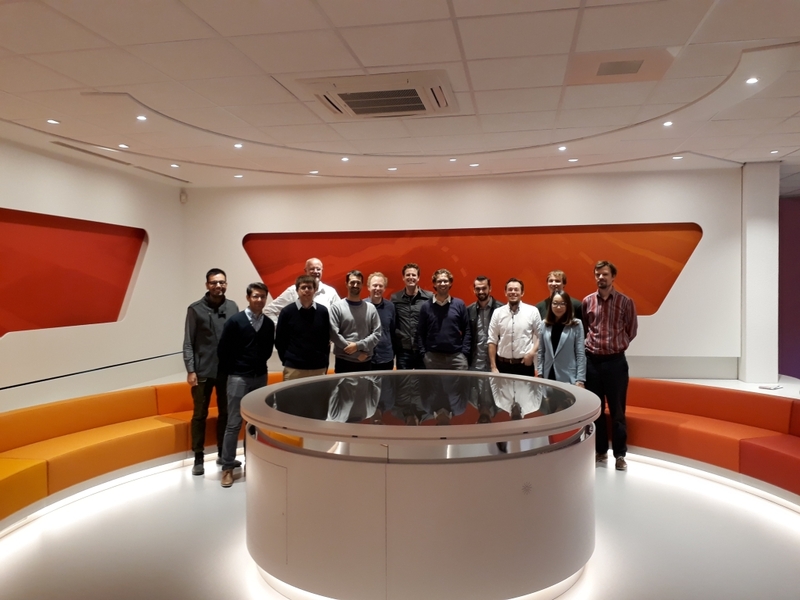 Discussions centred around traffic management, V2X communications, dealing with adaptive cruise control, using the iTETRIS+SUMO+NS-3 integrated simulation platform, setting up feasibility test with real vehicles, and much more. Stay tuned for more updates! We are happy to announce that Deliverable D4.1 (Overview of Existing and Enhanced Traffic Management Procedures) is available for download in the Deliverables section! 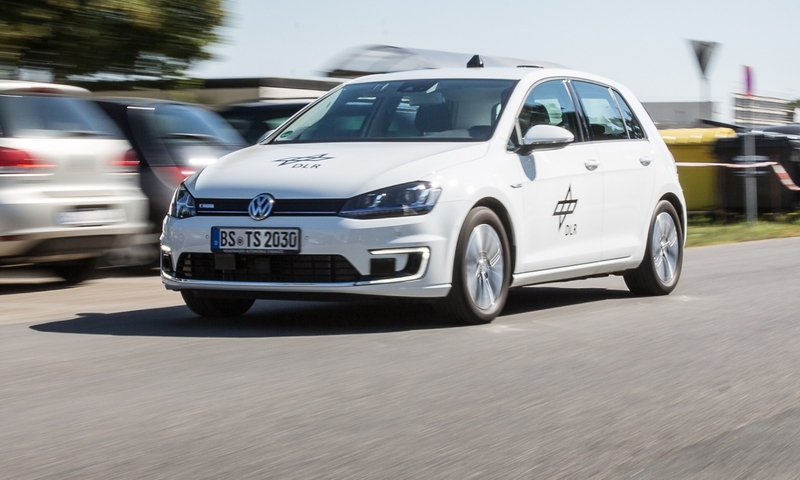 Deliverable D4.1 describes the creation of the next generation of traffic management procedures and protocols that address the presence of autonomous vehicles, as to be deployed in TransAID. We highlight the state-of-the-art of traffic management procedures, focusing on general approaches, the coordination of CAVs, and the impact of machine learning techniques and artificial intelligence. 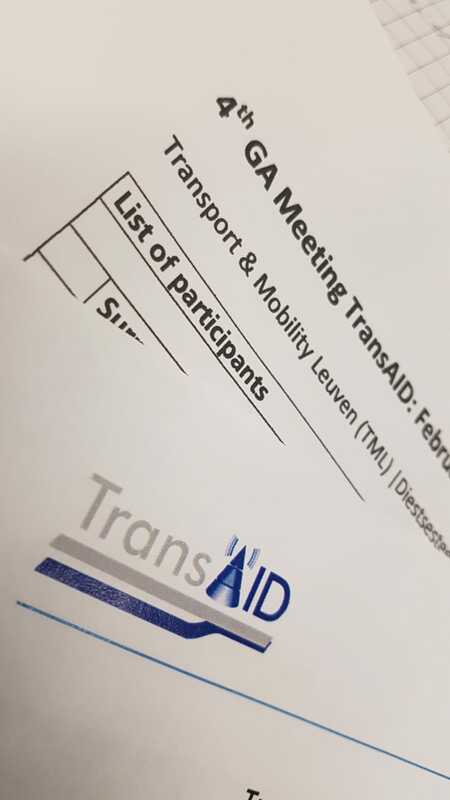 We then outline TransAID’s traffic management framework, positioning ourselves as an intermediary service provider. 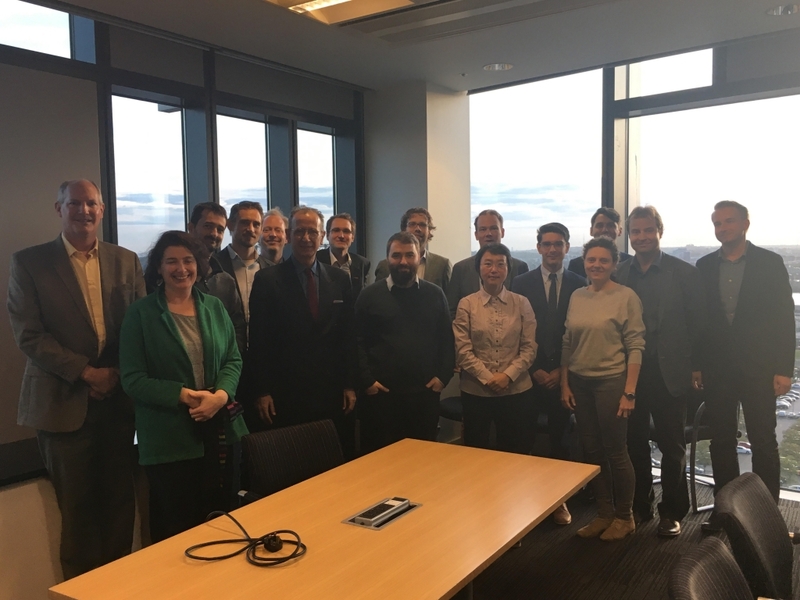 This encompasses high- and low-level traffic management operations, as well as raising some concerns on the compliance of automated vehicles to traffic laws. Next, the bulk of the report discusses in detail the five selected services and use cases, each time highlighting when, where, and how traffic measures should be applied. In conclusion, we give some further approaches to integrated traffic management, and sketch several general communications requirements for traffic management systems, focusing on the types of messages to be transceived. TransAID Newsletter #3 (September 2018) available! 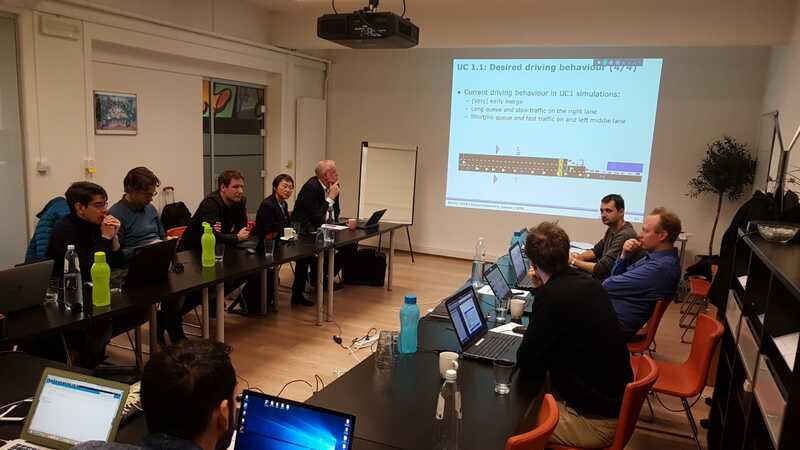 Today we published our third newsletter, containing very interesting information related to modelling vehicle automation, driver behaviour, and the definition of V2X message sets.